In collaboration with UAPD, the Department of Criminal Justice has begun accepting students into the Cyber Crime Lab program. The program will stay true to its name, but students will be studying far more than just cyber crimes. UAPD’s new Joint Electronics Crime Task Force (JECTF) will be hosting the program, representing the first digital evidence-processing center in Alabama. As part of UAPD, the new lab will process evidence from cases from all over the state.  In its first semester, the Spring course will accept six students, with three already accepted into the program as part of CJ 395, an internship course supervised by Dr. Kathryn Siegfried-Spellar. Funded by a grant she co-wrote with Lt. Dennis McMillan, commander of the JECTF, the course will feature job shadowing of forensic investigators. Students will also be able to utilize their own training section of the lab, where they will work with dummy evidence that mirrors real-world cases of digital evidence. They won’t touch any actual evidence being processed by UAPD or the Tuscaloosa Police Department, but will gain experience as if they had. Students will use software currently used in crime labs across the country, processing Malware, live evidence, mobile devices, video equipment, and other forms of digital evidence. UAPD expects new staff at the end of the year to help accommodate the students, according to Lt. McMillan. In the coming months, the JECTF also hopes to process digital evidence backlogged by federal institutions, speeding up the judicial process. Students will be able to study digital evidence processing from a variety of local, state, and national crimes, including homicides, drug busts, hacking, and more. The police department is getting more out of the program than just academic support. According to McMillan, many law enforcement agencies around the state do not have the money for training and technology. McMillan hopes the presence of the task force and its lab will allow them to train smaller agencies on what evidence to look for and how to utilize the UAPD lab for their own digital evidence processing. In addition, students will participate in UAPD public outreach programs, potentially talking to other students about topics like phone safety and cyberbullying. Siegfried-Spellar’s crime lab internship will feature a lecture portion in addition to time in the lab. It is open to students of any major, both undergraduates and graduates. Though there is no prerequisite, she suggests taking her digital forensics class first to get some background knowledge on the topic. It will require a final paper and public outreach projects. Each student receives 3 credit hours for each 10 hours worked, to a maximum of 12 credit hours. In the future, Siegfried-Spellar hopes to expand funding in order to accept between 10 and 12 students each semester.